If you have installed a new aftermarket clutch, or changed out your master cylinder and are experiencing clutch issues with engagement/disengagement this is for you. Step 1: Push your driver seat back and crawl under your dash. Locate your clutch pedal. If you cannot find it, don't even attempt this. lol. Step 2. 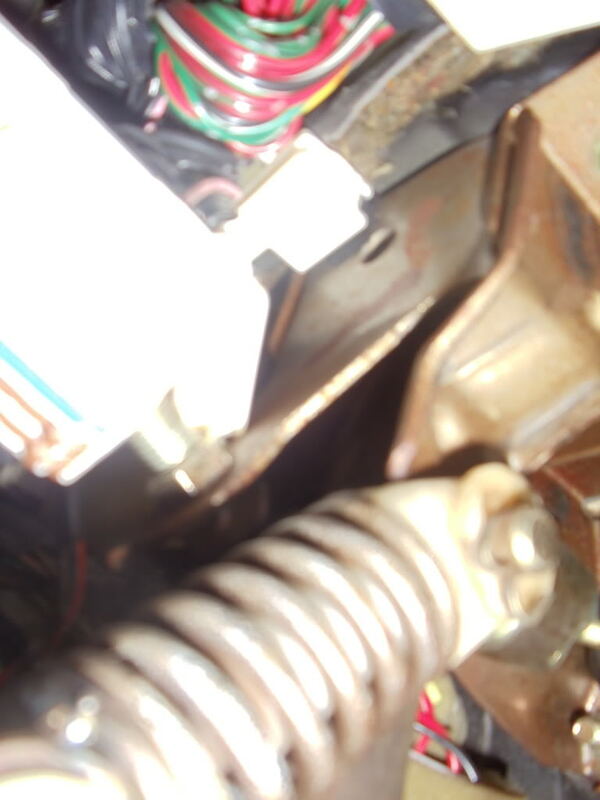 Locate the clutch trigger sensor (the sensor most people disconnect for starting the car without the clutch) You will see it has a threaded part that threads into the clutch pedal assembly, with a locknut. Get your 14mm wrench and loosen the lock nut. Step 3. What you want to do, is get a hold of the sensor and go in the direction of LOOSENING the sensor from the clutch assembly. Back it out far enough so when the pedal comes up, it just barely triggers the sensor. The black part that hits the pedal depresses. Do it so the black part is just getting depressed. Tighten the lock nut. What you just did is adjust the pedal height. 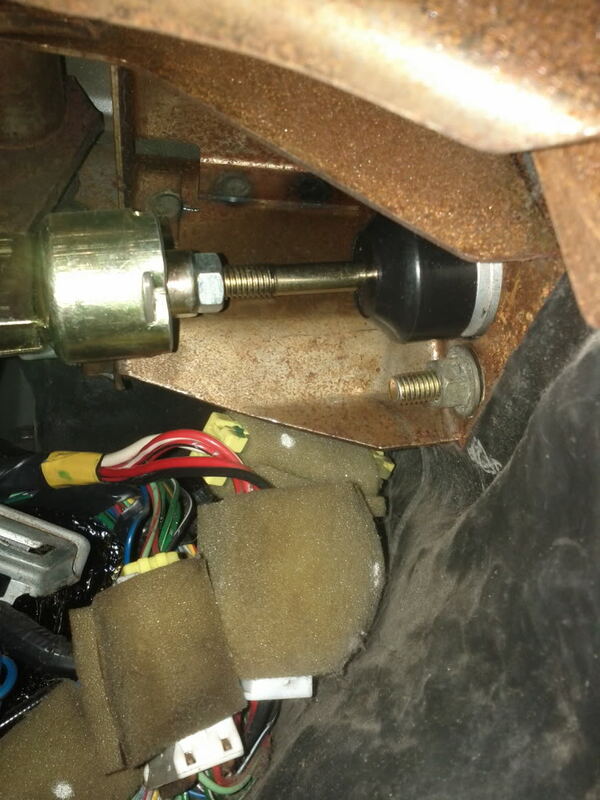 The reason for doing this is to get a FULL sweep of the pedal, thus making the master cylinder get as much fluid to the slave as possible to COMPLETELY engage the pressure plate. Sorry for the crappy pic. Step 4. Install your slave cylinder buddy to the front of your vehicle looking down at the clutch fork and slave cylinder rod. Step 5. 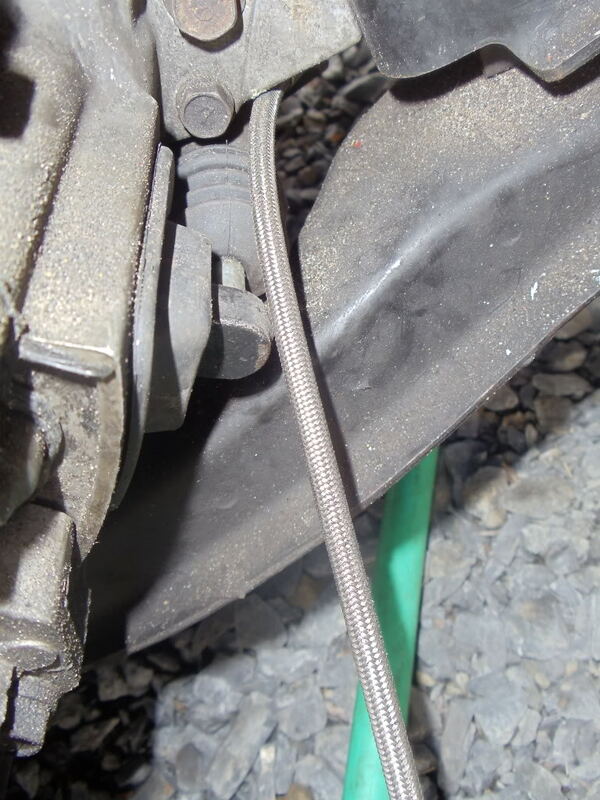 Locate the master cylinder rod behind the clutch pedal. It will be a long rod coming out of the firewall with a lock nut at the other end. Get your 12mm wrench and loosen the lock nut. Step 6. Have your slave cylinder buddy press the clutch fork towards the slave cylinder, It should depress the slave cylinder rod. 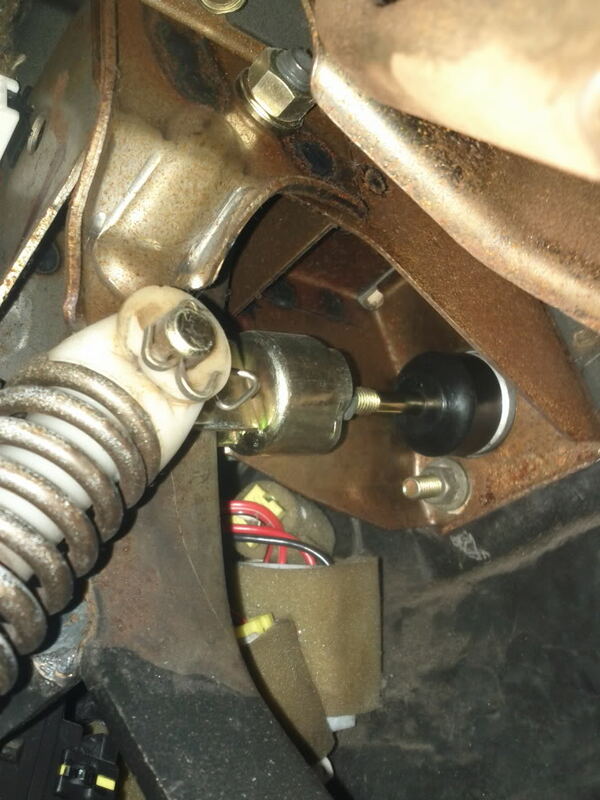 Do a full turn CLOCKWISE (Tighten) of the master cylinder rod. Have your buddy press the clutch fork again. Do this ONE FULL TURN at a time until your buddy can no longer push the clutch fork in. Step 7. When you get to the point where your buddy can no longer push the clutch fork, STOP TURNING the master cylinder rod. What you have done is completely blocked off the slave cylinder bleeder valve. This valve is what the slave cylinder uses to auto adjust due to clutch wear. Loosen the master cylinder rod a HALF TURN and have your buddy check the clutch fork. If he cannot press it still, do another HALF turn, and have him check. When he can press the clutch fork in again, tighten the lock nut. Youre done. Pump up the clutch pedal a few times and see how it feels. Take it for a drive and you should notice an instance difference. I did this on mine and can feel the clutch getting fully engaged. This should help with clutch slip and weird issues. This will work with any car with a hydraulic clutch system.